A doorbell camera at a home off Orchid Lane captured burglars stealing, then returning a TV too big for their stolen SUV. Burglars who targeted a North Dallas home learned the hard way that planning is everything. 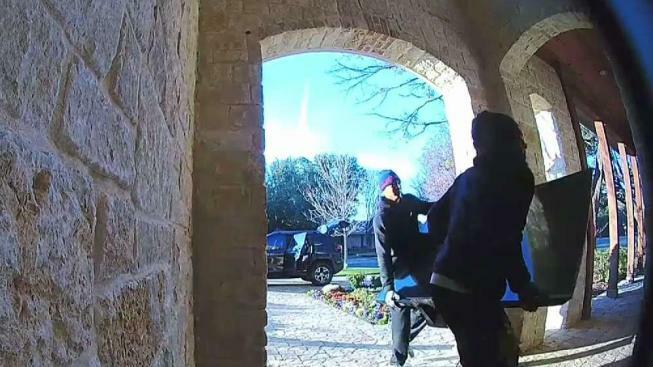 A doorbell camera at a home off Orchid Lane captured the bumbling burglars as they tried to haul out a big TV. The problem came when they tried to load it into a stolen Jeep Cherokee, the TV wouldn't fit. The burglars gave up, returned the TV to the home and drove away. Police later found that stolen vehicle, but officers are still looking for the thwarted thieves.